Order soon to arrive before Easter! It is finally that time of the year again; when sitting at home all day eating treats is guilt-free. We encourage you to use your one-day guilt-free sugar binge on our delicious Easter Fudge flavours – because chocolate is so overrated! Here at Roly’s Fudge we certainly get creative at Easter with our Hot Cross Bun and Double Chocolate Fudge flavours. 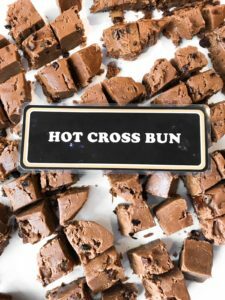 Our Hot Cross Bun Fudge has been a long-time easter favourite amongst our Roly’s Fudge fans, and the judges at Taste of the West felt the same too, making our Hot Cross Bun Fudge award-winning. Both Easter flavours are limited editions over the easter period – and trust us, you don’t want to miss out! To make things easier for you we have carefully crafted two Easter Special Fudge Boxes with all the options you could possibly want. For a limited time only, you can get your hands on our Easter Fudge Selection Box and our New Eggstravaganza Fudge Box, both with FREE UK delivery! The Easter Fudge Selection Box includes 600g of crumbly, melt-in-the-mouth Hot Cross Bun Fudge and Double Chocolate Fudge. Alternatively, you can go all-out and treat yourself to our New Eggstravaganza Fudge Box! This is THE Easter Fudge Box, a 900g selection of Fudge; our award-winning Hot Cross Bun Fudge and our Double Chocolate Fudge, PLUS you can add your favourite Roly’s Fudge flavour too. As though this wasn’t enough, we have even given you the option to add on some delicious Fudge Sauce which comes in three amazing flavours: Chocolate Fudge, Strawberries & Cream and Salted Caramel – a must on top of your pancakes, ice cream and puddings! 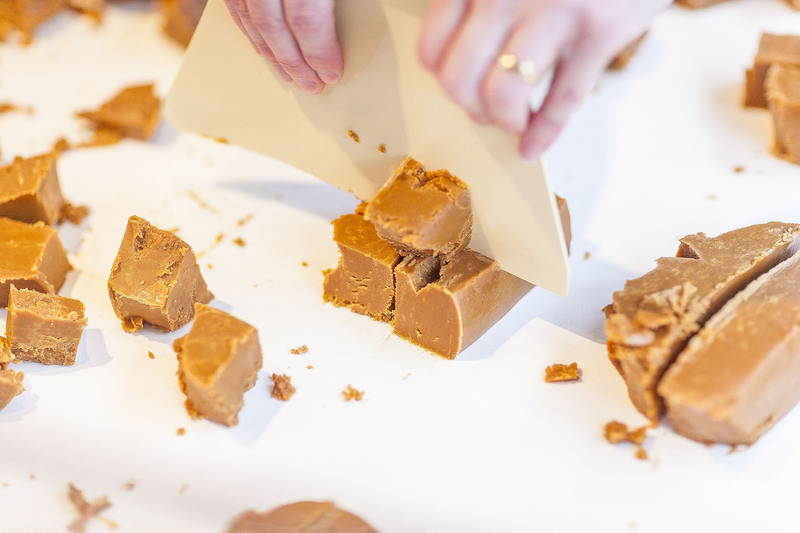 However, if you are only looking for a little taster of fudge, you can also buy just one flavour of your choice, all Easter Fudge options can be found on our online shop. What are you waiting for! 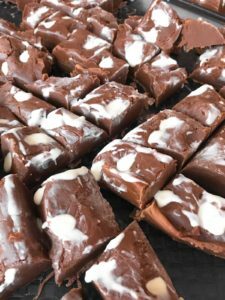 Treat yourself to Roly’s Easter Fudge online. Don’t forget to take a photo with your delicious Fudge and tag us @rolysfudge on instagram and facebook!